The off-duty Adams County deputy shot by a LaSalle officer in the Weld County town of Evans Wednesday evening has died, the Greeley Police Department announced in a press release. ADAMS COUNTY, Colo. — The off-duty Adams County deputy shot by a LaSalle officer in the Weld County town of Evans Wednesday evening has died, the Greeley Police Department announced in a press release. Deputy Jesse Bennett Jenson, 41, succumbed to his injuries at the North Colorado Medical Center and was pronounced deceased Friday, the release read. 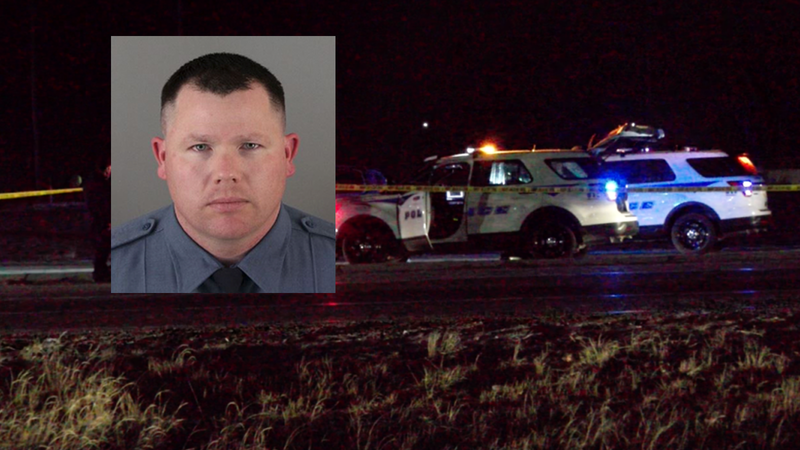 Deputy Jenson was shot by a female LaSalle officer near 42nd Street and Highway 85 after she confronted the plain-clothed deputy at the conclusion of a high-speed pursuit of two vehicles that began around 10:25 p.m. in Platteville. Police radio traffic of the incident indicates that an officer from an unknown agency attempted a traffic stop after witnessing one of the cars weaving on the northbound lanes of Highway 85 in Weld County. Both vehicles were traveling an estimated 90 to 95 miles an hour, according to the broadcast. Officers from multiple agencies joined in the pursuit, which came to an end when both vehicles stopped in Evans. The driver of the second vehicle was contacted by police and identified, but it's not clear if any arrests were made. The name of the LaSalle officer has not been released. The town’s police chief said the officer, who is one of only eight on the force, has been placed on leave pending an investigation. Deputy Jenson began his career with the Adams County Sheriff’s Office in 2016 and he was assigned to the Jail Division, according to a sheriff's office release. The 19th Judicial District Critical Incident Response Team remains the investigative authority of this incident, and will release additional information as it becomes available, the Greeley police release read. The Colorado Police Foundation has set up a fund at the request of the Adams County Fraternal Order of Police Lodge One, to help Deputy Jenson's family with funeral expenses. You can help by clicking this link .